The privatization of public spaces is a contentious issue – suburban malls have turned many main streets into ghost towns. At the same time, there are legitimate difficulties when it comes to open seating . 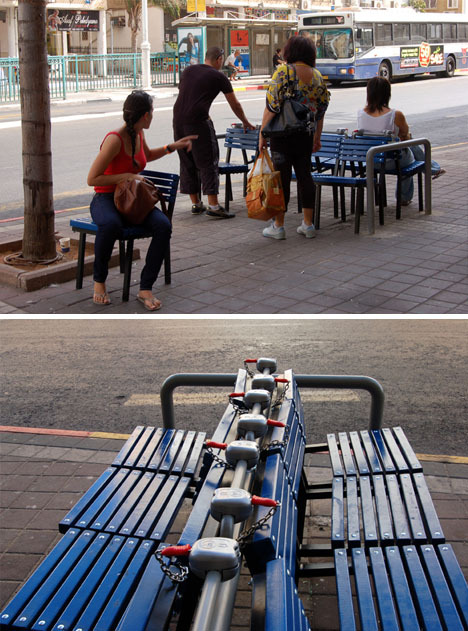 If you leave benches wide open, people may sleep in them. If you don’t nail chairs to the sidewalk, people will walk off with them. Consider shopping carts: in the United States, you see them strewn around parking lots, or gathered by tireless employees. In many parts of the world, including Europe, a coin is inserted, allowing you to detach the card, but encouraging you to return it and get back the money you put in. 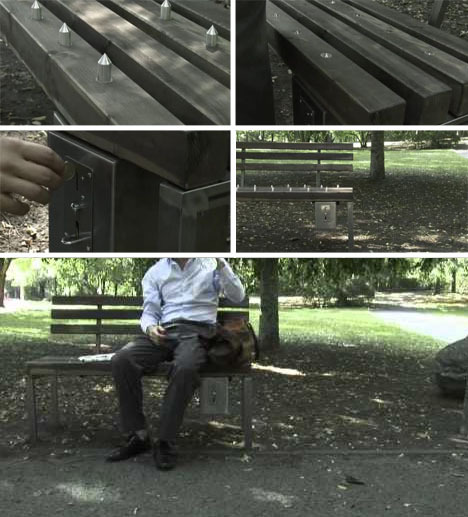 Could the same system be used for seats? 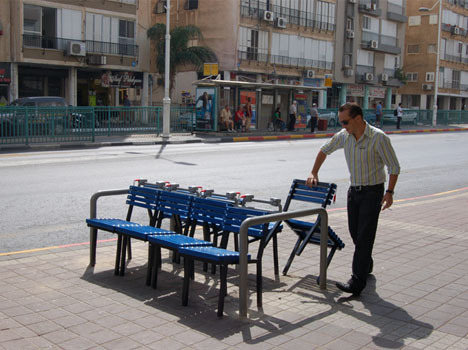 Vincent Wittenberg gained permission from Bat Yam, Israel, to perform a real-world test. 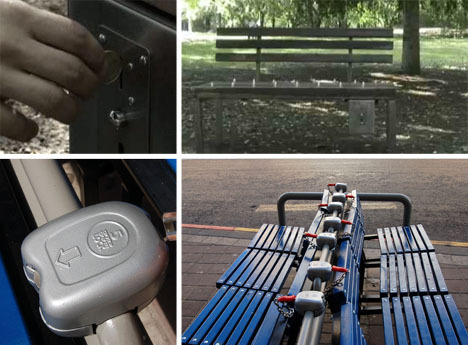 Meanwhile, Fabian Brunsing, a Berlin-based artist and designer, took a different approach to a related problem: coin deposits (but in this case non-refundable) that allow you to use a public bench. But beware: when your time is up, a warning sound signals you should stand or get spiked from below. Perhaps this project takes things too far, but, on the other hand, is it that different from toll roads and other pay-to-use amenities offered by cities or states?